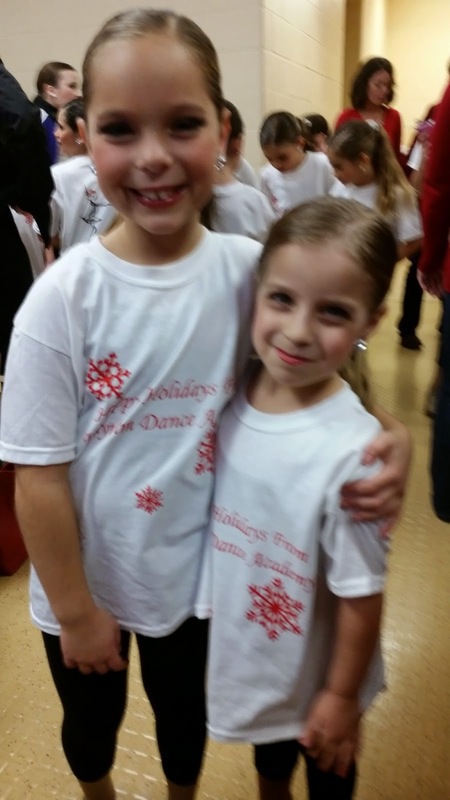 From Meredith to Mommy: Am I a Real Dance Mom Now? Am I a Real Dance Mom Now? Madison loves to dance. She started when she was two with a creative movement class and was hooked immediately. Last year we moved to a closer studio and she thrived even more. I figured that she would have my grace (none), so this would stay a fun activity. Her new studio had an intensive program, but that program never really showed up on my radar (well, until Madison became mesmerized with watching the team dancers in the recital). Anyway, in August I was shocked to get an invitation for Madison to pre-team. I actually emailed the director back and informed her that she had the wrong Madison. My Madison was only four. And obviously not team material. She wrote back instantly telling me that my Madison was, in fact, a unanimous teacher selection. She's cute. She's smart. She has a crazy memory. She's good for her age. And she acts like a performer. They did want her. So after a loooooong talk with Adam, we let her give it a try. It's pre-team. More classes, but only two competitions. A good way to test the water. Naturally Madison took to this increased schedule like she was born for it. She comes home from a two hour class and spends the next thirty minutes dancing around the kitchen. 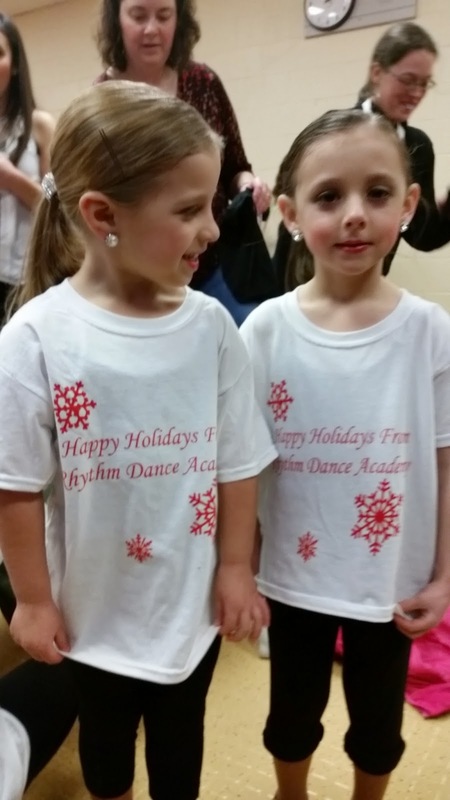 She asked when she could start getting private lessons and solo dances (um, not when you're four). She wants to be part of the team in every way they let her. She fits right in. She dances all the time. Her Christmas list is full of dancing toys and dance stuff. A barre. A new bag. A leotard with crystals. She's hooked. When I first told my friends that Madison was joining the competition team, they told me I would have tons of blog fodder from the whole "dance mom" scene. But fortunately there doesn't seem to be much drama. Nearly everyone is very nice, very competent, very kind to all the girls. Nothing much in the way of blog fodder. Now I fit in as a dance mom...not so well. I mean, I'm nice and all, but competent? Not so much. I get the emails from the team coordinator and immediately respond with twenty questions. What crystal pony holder? What do we need to get? What production rehearsal? Do the little kids actually wear the eyelashes? Do I wait for her during rehearsal? WHAT AM I DOING HERE???? Sidenote: This is even more ridiculous because the teacher in me is thinking that these emails are totally clear. I used to send out choir emails and get so frustrated when I was bombarded by questions, and now I'm doing the questioning for things that I'm SURE are totally clear. I'm always thrown with what she needs to have with her. I'm always thrown by where she needs to be. I'm paranoid about missing stuff. I've had sticker shock at the dance store over the price of jazz shoes and the new style of tap shoes. I'm definitely in a learning curve. And that's fine, because Madison's team hasn't started competing yet. In fact, they haven't done all that much beyond their regular schedule yet. 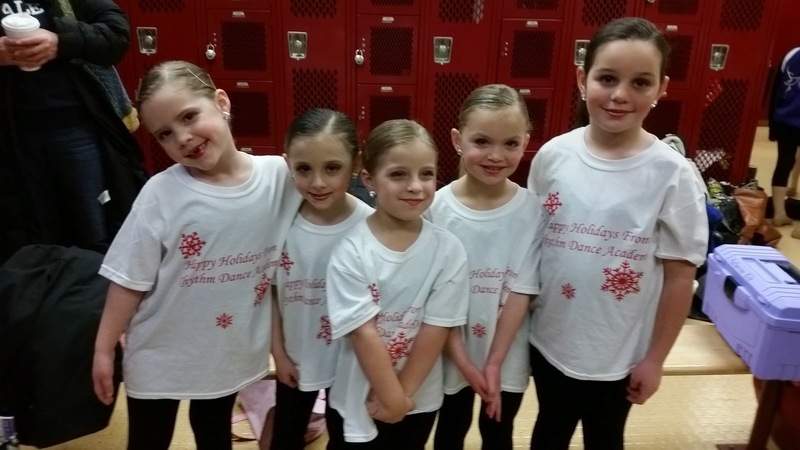 But this past weekend they were part of the dance that the rest of the teams performed at a Christmas show. The preteam part was very small. These girls are just starting and they have a lot more choreography than they've had in the past. We knew that. However, they still needed the full make-up and hair and "costume" with the right stuff underneath. Our moms peppered each other and the poor team coordinator with questions. What kind of bag? What kind of makeup kit? Do you know how to do eyeliner on a little girl? What are they wearing before they go on since we don't have warm ups yet? We collectively decided we just STUNK as dance moms. We just could not get this stuff down. Anyway, our family had the busiest day on Saturday. Madison had gymnastics in the morning, then I brought her straight over to the church Christmas Fair, and then we had to dash right over to the high school a few towns over. Mid-morning we'd gotten another email telling us about what the girls needed to wear under their costume, so we needed to stop home...it was crazy. We got to the high school (early - win! ), we found the dressing room (easily - win! ), we used the bathroom (with no line- win!). I got Madison dressed (without complaint - win!). Then it fell apart. Madison needed to have her hair in a low pony with a specific part and a crystal hair tie, her crystal clip on earrings, and her make up done. She has worn all of these things before. She started throwing a tantrum. She didn't want me to brush her hair. She really didn't want that crystal ponytail holder. And she really didn't want those earrings. As some of the older girls started trickling into the dressing room, they were greeted by a sobbing, flailing Madison who kept yanking her head away from me and screaming that she wasn't wearing this stuff. And I found that I did have an inner dance mom. Just not the good part. 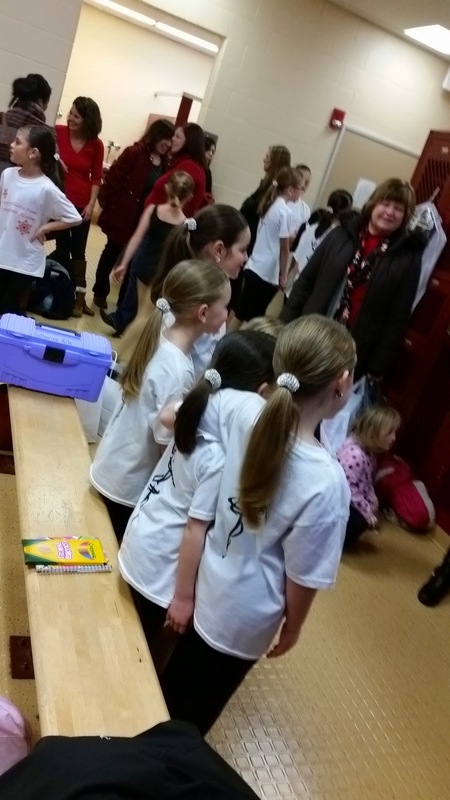 It turns out that I have the "yell at and threaten your kid in the dressing room" part of being a dance mom down. I threatened to have her tell her teacher she was quitting and going home because she didn't like the earrings. I clamped her in between my legs and hissed at her to hold still so I can get this DONE dammit! Then I told her to stop crying RIGHT NOW. Fortunately for both of us, the majority of the team arrived and Madison calmed down when she saw all the excitement. The older girls all love her like a little sister and told her how great she looked and how excited they were for her. We both settled down and got her make up and earrings on. She didn't cry, she didn't cling to me. She walked with and sat with her team, went onstage easily, and performed her little piece well. And I found out that I was not the only new team mom nursing a moment of shame from hissed threats and frustration during the "getting ready" time. If there was any judgment among us, it was well concealed. 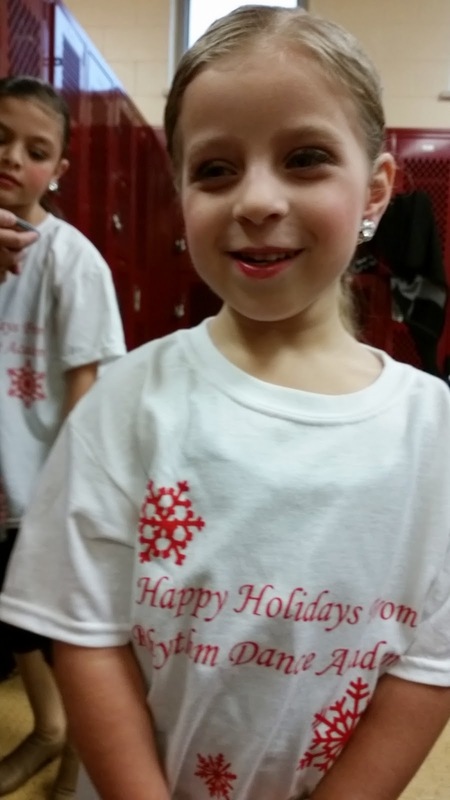 We still have three months until our first competition, which gives me three months to get this dance mom thing down. And I need to hope that I stop being the one bringing the blog fodder.